GALVESTON, Texas (KTRK) -- Surveillance video captured the frightening moment that a yacht collided with a buoy, sending passengers into a frenzy. The accident happened on the Jacks or Better Casino yacht late Saturday night, just days after the ship's grand opening on April 7. According to Coast Guard Lt. Matt Whitney, the ship was carrying just over 100 people at the time. A new Jacks or Better Casino yacht collided with a buoy late Saturday night, according to the US Coast Guard. The marker ripped a gash along the port side of the ship. 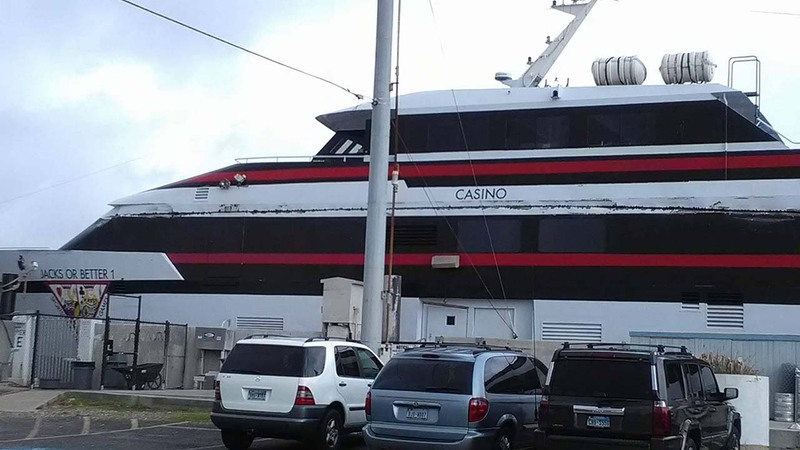 In a statement, Jacks or Better Casino said the accident was the result of a blind spot created by "blinding lights used to illuminate a disabled ship."